Really enjoyed and comfortable stay. The owner is very friendly and helpful. Very happy with a memorable trip. "The apartment was clean and quite. It was comfortable and well eequppied. It was situated very close to the bus station which was very convenient specially when you stay with children. You can get directly to Venice within 15 minutes. There are lots of shops nearby and you can buy fresh food easliy. The owner was very flexible and patient as changed the time of our arrival a few times. Everything was OK and we were very satisfied with the appartment and our stay in Mestre which is a beautiful city." 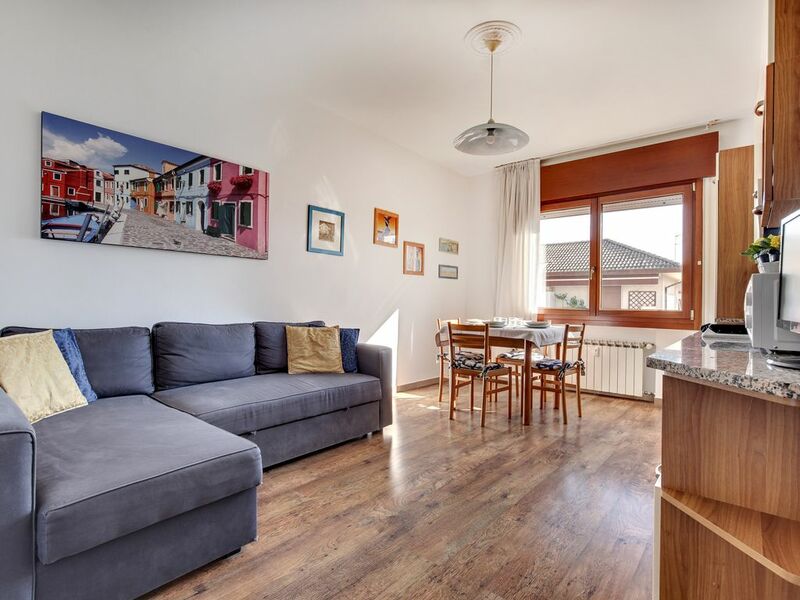 "This flat is excellent choice for family who wants to come to Venice by car. The bus station is just in front of the building. The flat is very comfortable, clean and well furnished. Everything is just as explained in the advert. We spent very nice few days and we recommend this accommodation to all 4 member families. Mirko J, Belgrade"
"The apartment is very clean and comfortable. The traffic is convenient as well. Also the renter gave us a big hand for arrival and departure. We appreciated it a lot." "First of all, Fabiano was an excellent host who took the trouble to see that our needs were fulfilled. He'd picked us up at the exit of the motorway and led us to his apartment, which was only about 10 minutes drive away. He showed us the apartment and advised us on which buses to take to go to Venice. He also gave us tips on taking the vaporetto in Venice, which is apparently very expensive for non-residents. Apartment is really larger than we'd expected. The second bedroom was great as our baby could sleep separately from us. Every room is spacious with sufficient closet space to accommodate long stays. The blinds in the double bedroom was spoilt though and Fabiano didn't have the time to repair it before we arrived. Nevertheless, it was a blessing in disguise as the hot sun was shining mercilessly into the room. If you're one of those people who prefer the kitchen and living room area separate, then you may have problems with this apartment. For us, we found it a pleasure that we were able to follow the Olympic Games while preparing our meals. Gives us the real vacation feeling where you do things out of norm. Bus stop is across the road right outside the apartment. Supermarket is barely a 10-minute walk away. On those really lazy days where you don't even feel like walking that 10 minutes, there is a small grocery store, butcher and a store selling hygiene/toiletry products just downstairs outside the apartment. Perfect location, especially in summer, when Venice is jampacked with tourists, and you'd like to just get away from all the hustle and bustle. Mestre is a charming little town, quiet and calm in contrast to touristic Venice. A real relief to return to the apartment after even half a day spent in Venice. Thanks for the great stay Fabiano! We'll certainly think of you if and when we come to Venice again." Restaurant, shops, groucery, supermarket, cinema, theatre.